Taking a vacation means relaxing and spending quality time with our loved ones. It is upon you to ensure that a relaxing trip does not turn into a financial nightmare. Accidents, medical emergencies or other eventualities can strike any time without warning. Getting medical treatment at a foreign location can prove to be very costly. A simple thing as visiting a doctor for consultation in a foreign country can burn a hole in your pocket. In such cases a travel insurance can come to the rescue. A good travel insurance plan can protect you from a financial catastrophe at foreign locations. It provides cover against medical expenses, hospitalisation costs, evacuation costs and so on. Its coverage also includes travel related losses like loss of passport, baggage, delayed arrival of baggage, interruption or delays in flights. Having the right travel insurance can do wonders in cases of accidents, mishaps or medical emergencies. In some cases, it might even be mandatory for acquiring a visa for your trip. Here are a few things that need to be kept in mind while buying the right travel insurance plan. The country or the location you are visiting can be an ideal gauge for determining the amount of cover you should have i.e. the sum insured to be chosen for the travel insurance plan. Medical cover is one of the prime features of travel insurance. And knowing the destination and choosing the sum insured based on it is very important. If you are travelling to western countries like the USA or Canada, medical treatment is quite expensive, so choose the sum insured accordingly. It definitely would not be a good thing that you have travel insurance but it is not big enough to cover the medical treatment or few days stay in a hospital or worst not even able to bring you back when needed. Are you going to a foreign country just for a one-time vacation or are you planning to visit again? Your answer will help you determine the duration of your travel insurance plan. If it is just a one-time vacation, then a travel insurance plan just for a single trip or duration of the visit is sufficient enough. But if you are going to travel out of the country again within a few months then having multi-trip travel insurance is more economical for you. 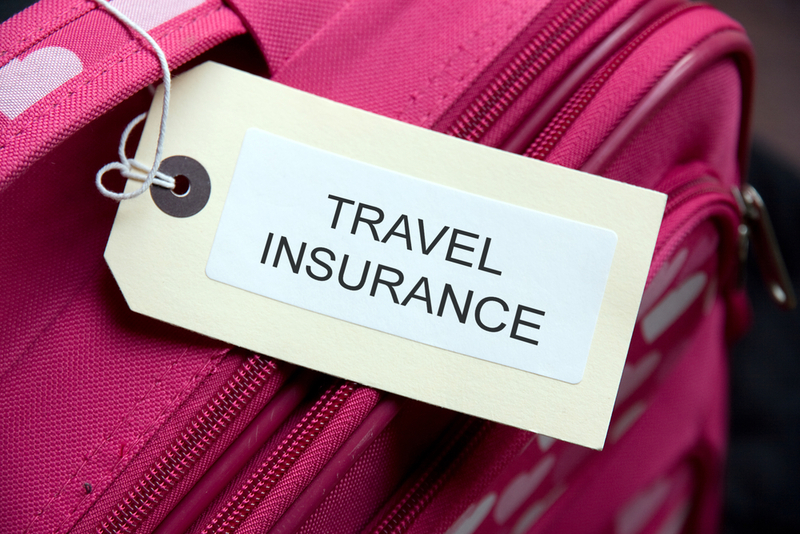 Knowing what is covered under your travel insurance is as important as having one. An ideal travel insurance plan should provide you cover for emergency medical expenses, personal liability, personal accident, flight delays, delay of checked-in baggage, loss of baggage, loss of personal documents, dental treatment, medical evacuation, contingency travel benefit, financial emergency assistance, trip cancellation, trip delay, hijacks and burglary in your absence. It is always wise to read through what is being offered and find out if there is someone else ready to offer you more than what you are getting. If yes, ensure that your travel insurance plan covers such activities. Normally, a standard travel insurance plan generally does not cover risks involved with such sports and activities. Be sure to close all gaps in your travel insurance plan before you set out on your vacation. The simplest and easiest way to get the best travel insurance plan is to go online and compare. There is a huge presence of online insurance brokers and insurance companies. Visit their comparison portal or websites or app and compare various plans available with them. Shortlist a plan that ranks highest on parameters of features, coverage offered and premium. Never take premium as the only deciding factor. Remember it is better to pay a little more if the plan offers comprehensive and better coverage than others. Buying a travel insurance plan beforehand also helps save on the premium payable. Never treat travel insurance as just wasteful paperwork. Avoid accepting what the travel agent provides with their tour package or the airline gives with their air tickets to save on a few hundred rupees. Get the right travel insurance plan and ensure you have a memorable trip because an accident or an eventuality will never announce its arrival, it strikes when you are least prepared for it. The article is originally written by Mr. Mahavir Chopra, Director, Health and Life initiatives, Coverfox.